If you were to come to a Sunday Dinner or a Holiday Dinner at my home, this might be your place setting. I inherited the china and crystal from my mother-in-law. The china pattern is "Wedding Ring." I'm not sure of the crystal pattern. I love the etching on the goblets. There are also champagne glasses. I also have some cheap imitation porcelain in a similar pattern. For the little ones to use. The bread was freshly baked "today." 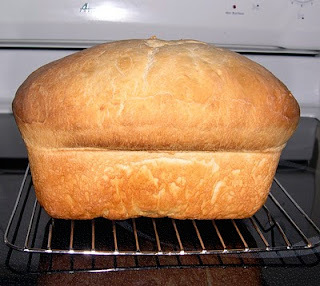 It's my basic white bread that I got from my dear friend Lisa from Georgia (formerly a Nebraska herb & day lily woman, the voice of the "Hello My Baby" flowers and mom to 3 beautiful children and wife to Cosmic-Ray). Rick loves it and grumbles when I try to help us eat healthier and make whole wheat bread. Load into pan according to manufacturer's directions. 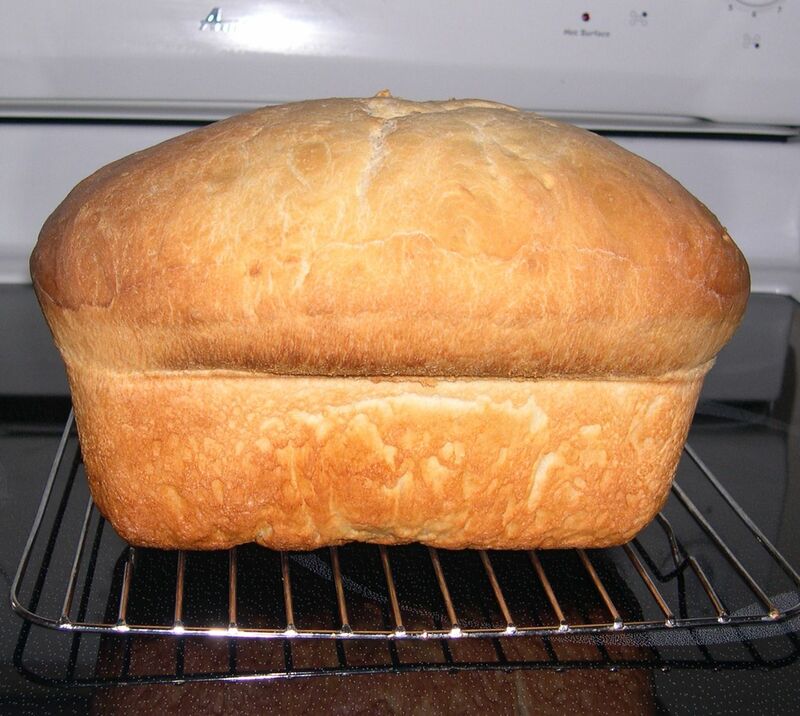 I usually just use the dough cycle on my Zohurushi, let it rise once, form and let rise again in the pan. Bake at 350° for 35 minutes or until it is golden brown and the internal temperature is over 185°. Remove from pan and brush with a little butter. Let cool on a rack. I also have some dishes from my paternal grandmother. My aunts gave the granddaughters each some pieces. I have 2 of these plates. The pattern is "White Rose" and has the name "carv-kraft", 3 diamonds and "BY MARKER" on the back. I don't know much about china or pottery so not sure what this means. I'd like to find a whole set so we can use them daily. I hope you enjoyed our time setting the table.